It was bedtime in the jungle. The moon rose overhead. 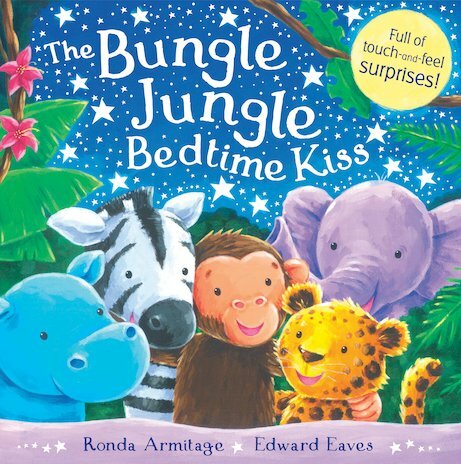 ‘Give me a kiss,’ cried Little Monkey, ‘and then I’ll go to bed.’ But the kiss that Little Monkey’s mum tosses to him misses, and hits Little Elephant… and Little Leopard… and Little Zebra. Now all the baby animals have the wrong kisses. Will any of them ever get to bed? An adorable touch-and-feel bedtime story full of fuzzy patches to stroke, jungle patterns and soft-as-velvet night-time illustrations.